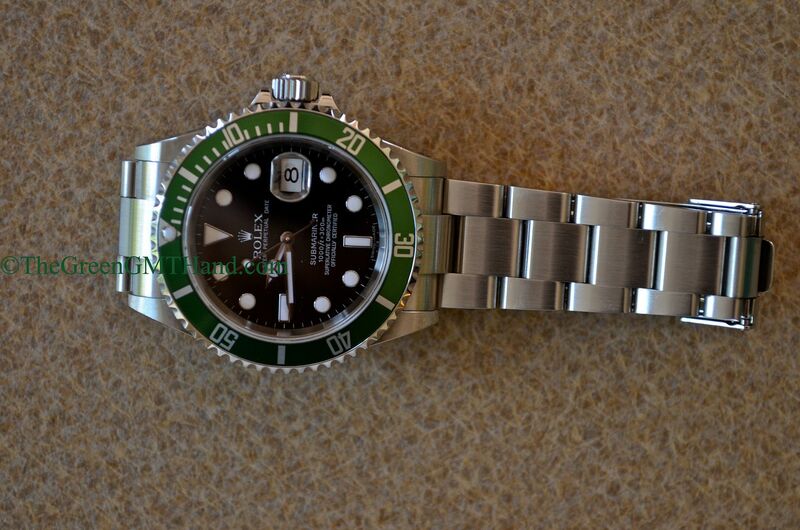 By all accounts, the Rolex 16610LV/16610V 50th anniversary green Submariner is the Red Sub of this generation. Released at the 2003 Baselworld show with much fanfare and an elaborate press release, the anniversary Submariner was issued to celebrate the 50th anniversary of the Rolex Submariner. Initially displayed at Baselworld with lug holes, the 16610LV arrived first in the Y serial without lugholes in a no holes case and solid end link SEL 93250 bracelet. 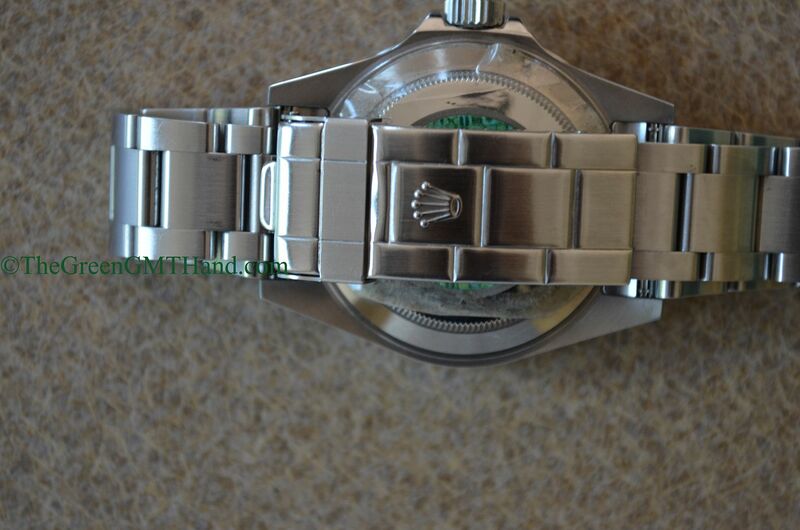 The bezel color was light olive green on the first Y issues. 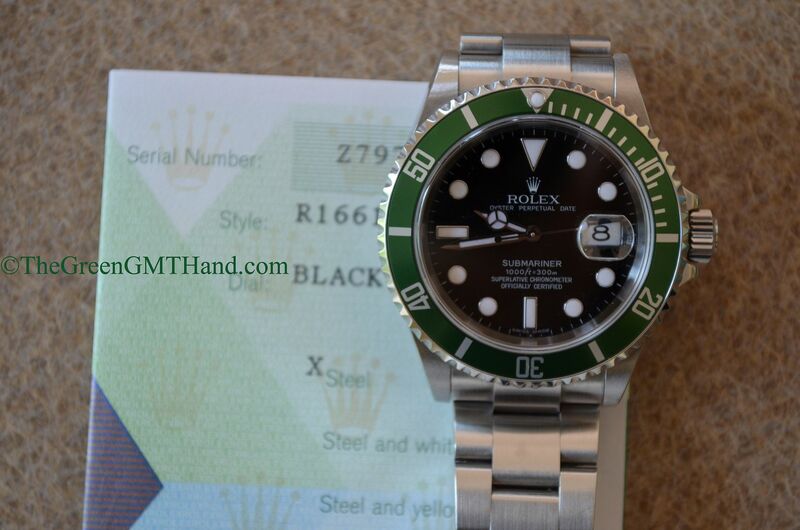 It shares the same case and caliber 3135 movement as the Rolex 16610 black bezel Submariner. 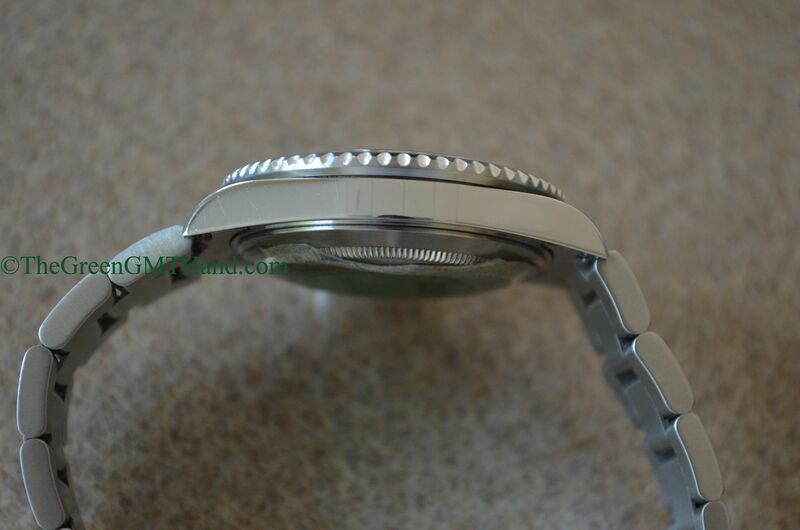 However, the dial is a black maxi dial with white gold maxi markers and maxi hands. 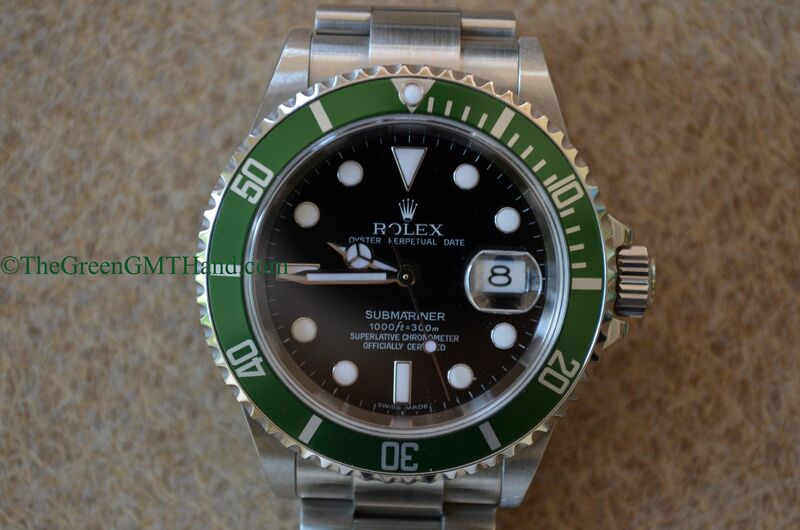 The bezel insert is a green special issue insert, one that Rolex recently changed the price to $350 to replace in order to deter bezel switching onto 16610 black Submariners. 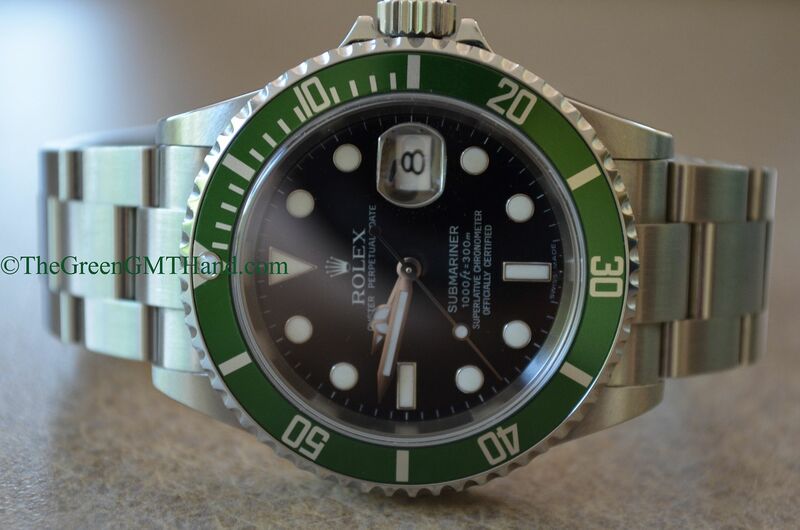 There have been multiple variations of the dial printing and bezel fonts in the anniversary LV Submariner, please refer to our “Useful Rolex Knowledge” section for an explanation and examination of the many different mark dials. 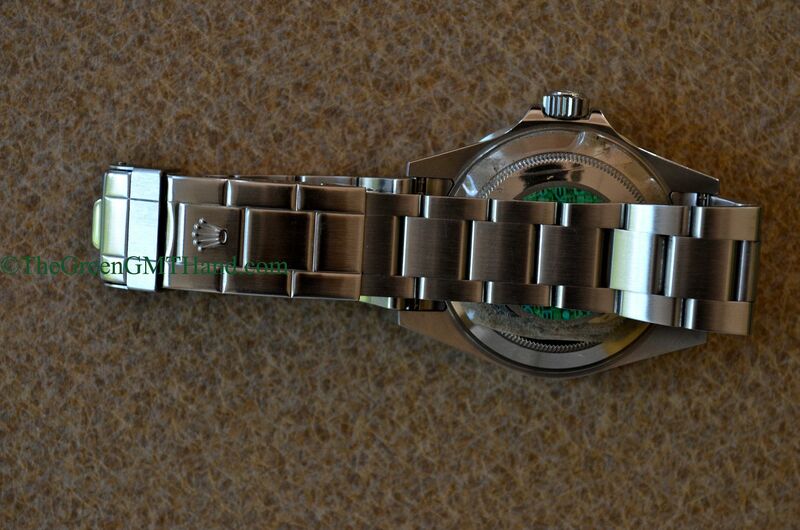 In the early M serial LV Submariner, Rolex introduced the engraved rehault. This particular one is without it as our customer requested an earlier clean rehault sample. 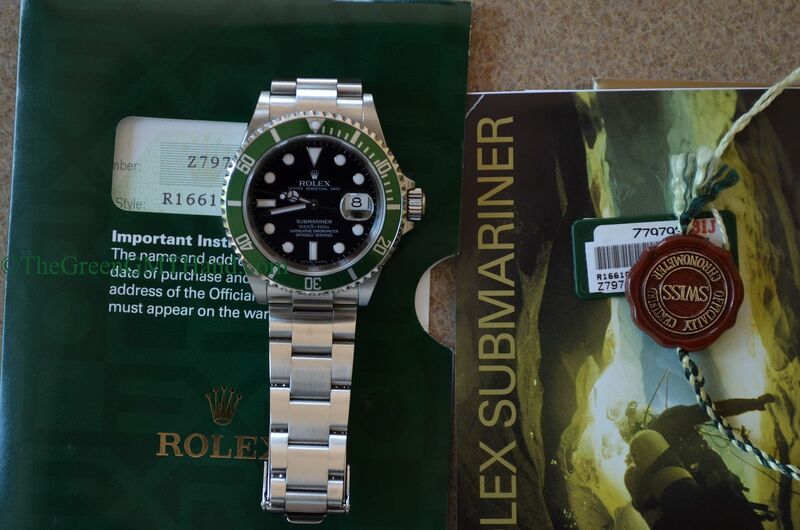 In 2011 the anniversary Submariner 16610LV was discontinued and replaced by a non anniversary Rolex 116610LV/116610V ceramic green Submariner with green dial and green bezel (nicknamed by many collectors “The Hulk”). This minty never polished anniversary LV was SOLD and delivered to our client as a complete original set. 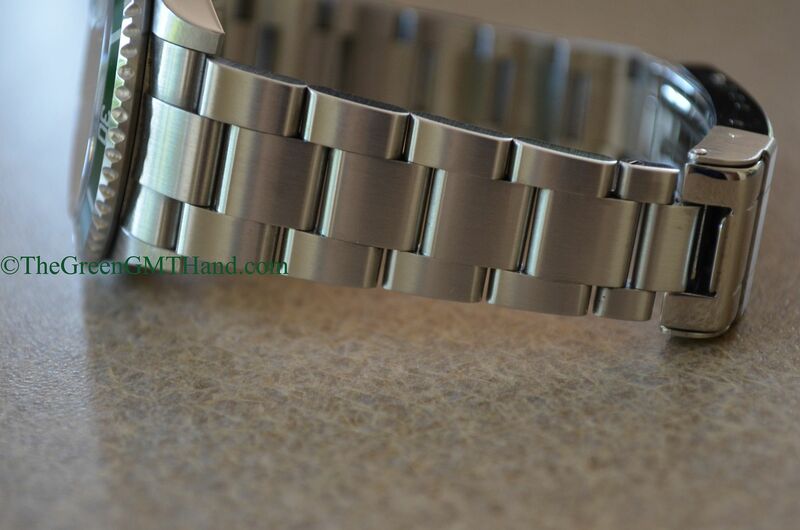 All our timepieces are guaranteed authentic and we stand by their Complete Authenticity. 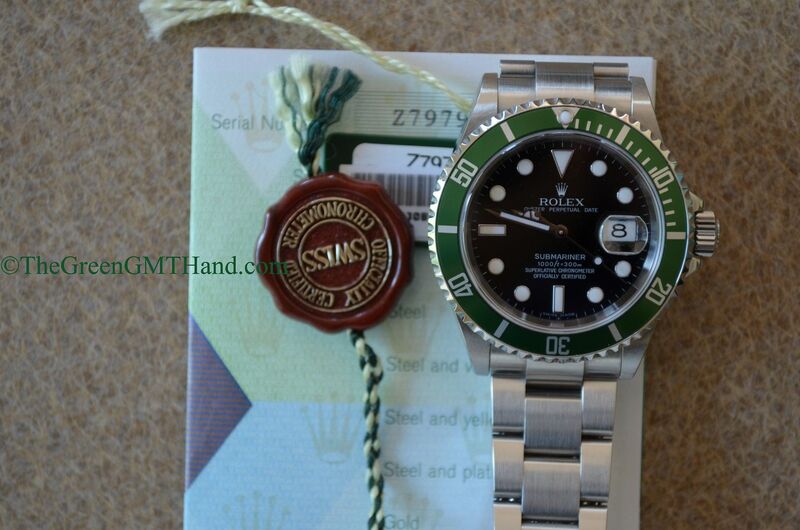 The Green GMT Hand is not an official dealer for the products we sell and service, and has no affiliation with the manufacturers and companies. 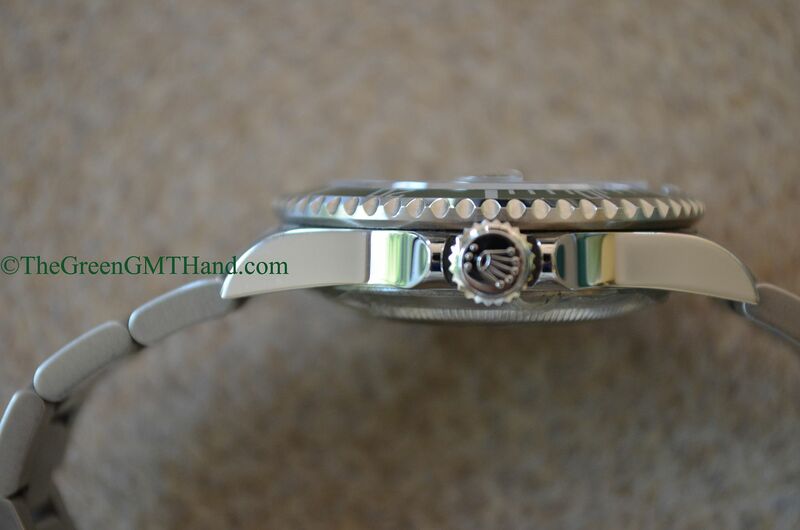 The Green GMT Hand is an independent luxury watch dealer. All brand names, trademarks, and copyrights are the property of their respective owners and are used for identification purposes only.